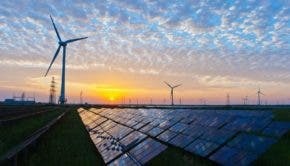 Investors around the world no longer see renewable energy as a risky or low-yield investment sector, a recent report by the United Nations on private sector climate finance has revealed. Trends in private sector climate finance, published by the Climate Change Support Team (CCST) of the United Nations Secretary General, shows that the renewable energy sector has matured significantly over the last few years as a safe investment avenue. The report attested to the fact that developing countries are attracting investment in the renewable energy sector at a much faster rate compared to the developed countries. In 2014, a total investment of $278 billion was made in the renewable energy sector, the report stated, quoting Bloomberg New Energy Finance, marking a 55% increase from the global investment in the 2009 of $178 billion. The Organisation for Economic Co-operation and Development (OECD) member countries accounted for just 30% growth in renewable energy investments in 2014. The number of countries with huge investments in the sector have also increased, as has the geographical diversity. In 2009 only 17 countries saw investment of more than $1 billion in renewable energy, a number which increased to 26 in 2014 — with 11 developing countries, including South Africa, Indonesia, Turkey, Kenya, and the Philippines. The CCST in its report also mentions the role of development banks in the promotion of private sector finance in the renewable energy in developing countries. Institutions like the International Finance Corporation, the African Development Bank, the Asian Development, the United States Export-Import Bank, Japan International Cooperation Agency, and KfW, have all helped private project developers implement significant renewable energy and energy efficiency infrastructure in developing countries. Several of the developing countries mentioned above took to competitive auctions to set up renewable energy projects. The cheap debt finance offered by the development banks played a major role in driving down the tariff bids in the competitive auctions.